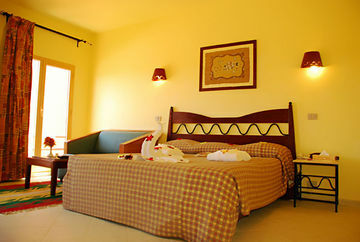 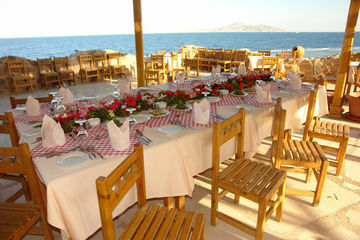 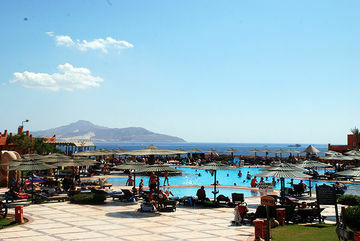 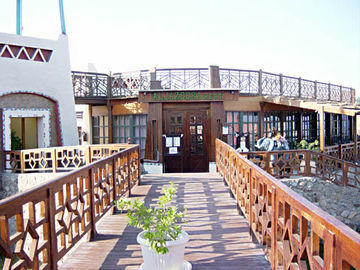 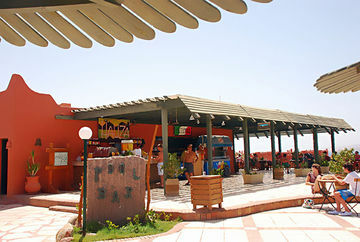 This beach hotel is located in Napq Bay, overlooking the sea as well as Tirana Island. 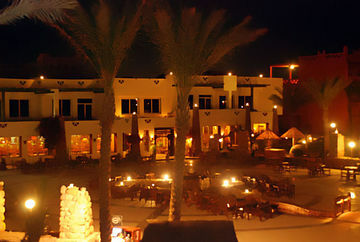 There is a shopping centre within easy reach and Sharm El-Sheikh airport is just 5 km away.||The building features a striking combination of Islamic culture and African architecture. 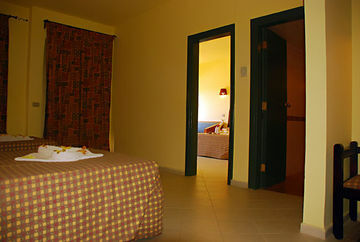 Guests will experience yesterdays charm combined with modern comforts. 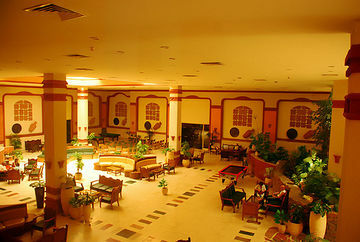 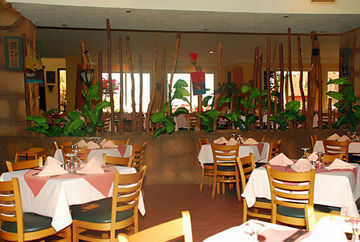 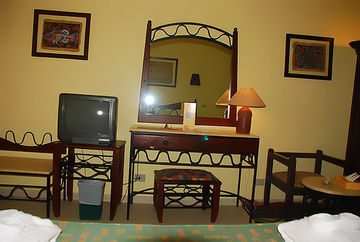 The hotel consists of 304 rooms and 56 suites. 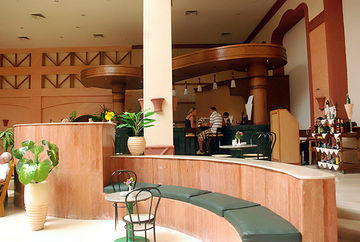 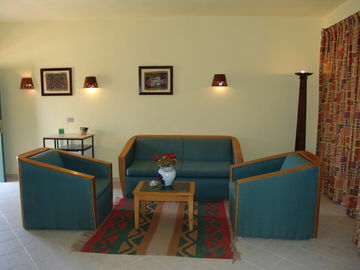 Facilities include a lobby with a 24-hour reception, a safe and a currency exchange. 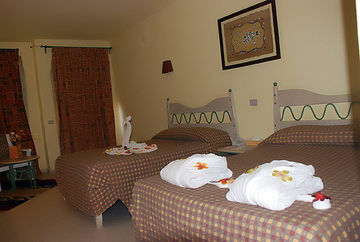 In addition, guests are offered a bar, a restaurant, Internet access, room and laundry services as well as medical assistance. 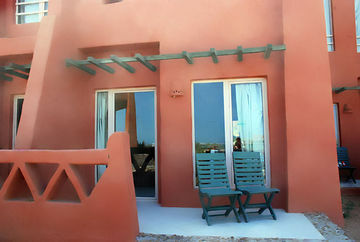 There is a also a playground for younger guests and the hotel also provides a shuttle service for guests.||All the accommodation enjoys stunning views and a private balcony or terrace. 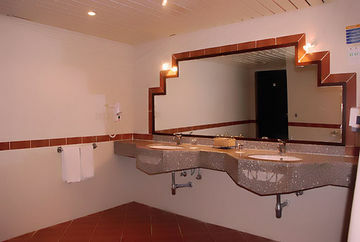 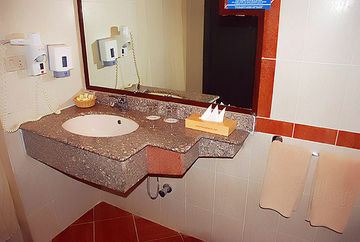 Amenities include an en suite bathroom with a hairdryer, individually adjustable air conditioning, satellite TV (with a hotel information channel), a safe, a lounge, a minibar/fridge and an international direct dial phone. 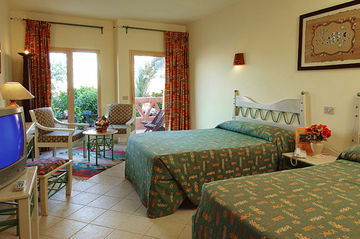 Connecting rooms as well as rooms for guests with disabilities are available on request.||The grounds feature a large swimming pool divided into two sections for adults and children, a pool bar and a terrace. 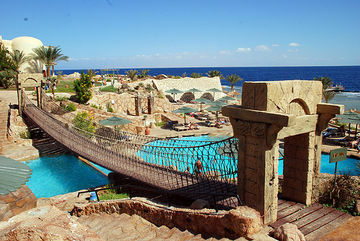 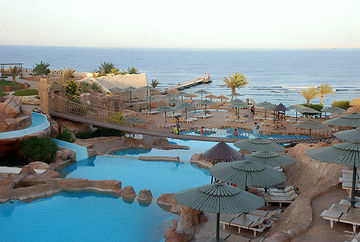 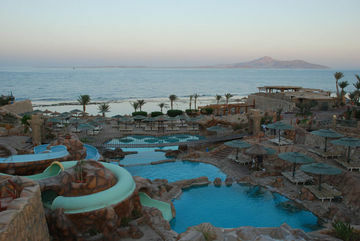 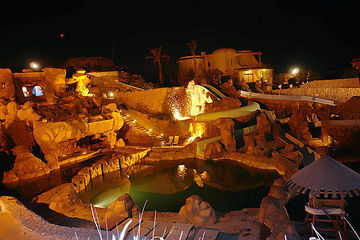 There is also a saltwater lagoon next to the hotel with a private beach. 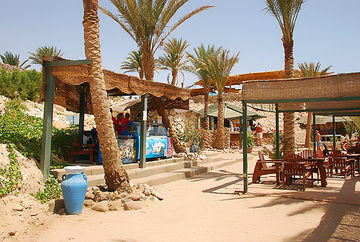 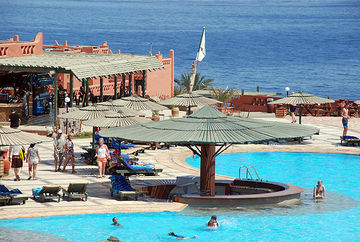 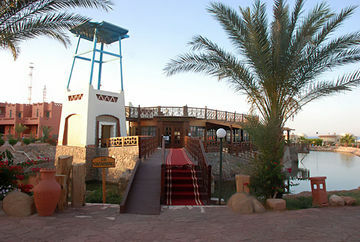 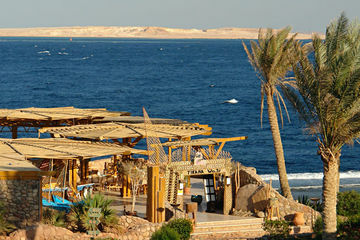 A variety of activities are available to choose from in the area such as: diving, horse and camel back riding, floodlit tennis courts, football pitches, volleyball courts, billiards, archery, safaris and full moon discos. 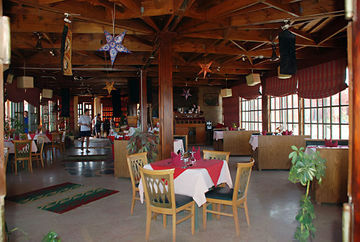 Younger guests are offered pony rides and royal carriage rides. 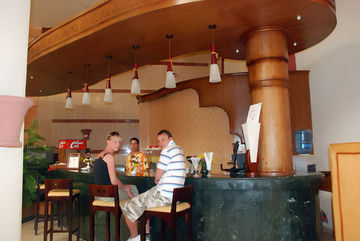 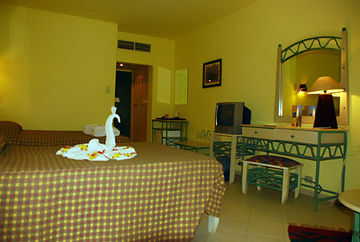 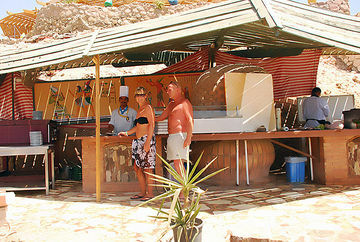 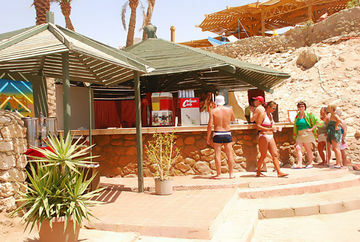 The hotel also offers billiards as well as a massage service.||All meals are offered from the buffets provided.